Calling all Classic Film Fans! A free, college class is being offered via Turner Classic Movies and Ball State University beginning June 1st-via online. Be sure to read Aurora’s fabulous blog about it all, and be sure to tune in to TCM Fridays in June and July for Film Noir Movie greats!!! It’s a bitter little world and I want all in! Double-dealing dames, amoral cops, cynical, hard-hearted heroes all set against dark and dreary backdrops. That is the world of film noir and Turner Classic Movies (TCM) is offering us a chance to lurk in its shadows. In conjunction with the “Summer of Darkness” festival during which TCM will air more than a hundred film noir classics as part of its Friday Night Spotlight series that will run through the end of July, the network has partnered with Indiana’s Ball State University and Canvas Network, an open online educational platform to offer a nine-week, free, online Film Noir course set to begin on June 1st. I was driving our 12-passenger, Ford Econoline silver/grey van around Rolla last week, doing the weekly groceries shopping, stopping at the bank to deposit our working teens’ paychecks into their savings accounts since they were still in school and couldn’t get to the bank as easily as I could, and suddenly, I became all weepy! There wasn’t a sentimental song playing on the radio. No touching radio ad or news story had hit my ears to bring about the tears. I simply started dwelling on our van and how many ways it had been a great vehicle for our family. The flood of memories, I think, just hit me at the right moment and the tears sprang forth. It was Autumn of 1999 and we were a family of 6 when I went to the doctor to confirm that baby #5 was on his or her way. That afternoon at the doctor’s office, an ultrasound showed not one but two hearts beating! After I got over my initial shock, I told husband and he, after realizing I wasn’t joking about expecting twins in April said, “We’re gonna need a bigger van!” Up to that moment, we had a Ford Windstar mini-van, which worked fine for our family. With my brother being an employee of the Ford Motor Company, it was a no-brainer to find out what Ford offered for those families that were too large to fit into a mini-van. That search led us to the Econoline. It’s the same size as those church or a daycare vans that dot our roadways in the U.S. We eschewed the 15 seater and went with the 12 seater and we placed our order with our local Ford dealership. We learned that part of our new van was going to be made in Canada and then those parts would be shipped to Loraine, Ohio and the final assembling of the vehicle would be finished there, but not until November of 2000, some months after our twins would be born. So until we were notified that the van had arrived at our local Ford dealership, we were a two vehicle, caravanning family. The day arrived and the kids were all excited about getting inside of this behemoth vehicle. The twins were oblivious but I think they sensed the excitement of their older sibings! The kids burst into the van, bouncing around on the bench seats, each claiming their spot, and the twins car seats were placed on the bench seat closest to the driver and front passenger seats. It did take me a while to get used to driving it around town, to not feel like I was taking up the entire lane of traffic. I finally did get used to it, so much so that whenever I rode in a “normal” sized vehicle, I felt like my seat was going to drag on the road! The only detriment, we learned, is that it’s impossible to really see out the back of such a large, long van. Hence, whenever parking it, we always, always look for a spot that we can drive forward out of, or park in a spot where there isn’t any place for anyone to park behind us. Memories came flooding last week: the numerous trips to St. Louis Zoo, or any of the museums in Forest Park, or any of the homeschooling field trips we went on through the years, hauling the kids and their friends to Koch Water Park or Bangert Pool, or Fritz’s, or to a mall, or helping to drive kids from church out to High Hill Christian Camp. Vacations taken via our van: Disney World, Busch Gardens, trips to OH to see the grandparents and other relatives, a trip to MI, a trip to NC, a trip to Texas when it looked like we might have to move there, and trips now back and forth from Rolla to St. Louis or Rolla to Springfield, to Branson and back. There are also the times the van has been extremely handy in hauling stuff: concrete and paints, mulch and plants, wood, tools, for various home improvement projects, new pieces of furniture. Hauling college daughter’s myriads of stuff to the dorm and back again for school breaks. It has also proved valuable on Cub and Boy Scout campouts;driving scouts and equipment to and from camps. Two summers ago, while on a Cub Scout camp out with our youngest, we were at Camp Arrowhead, about 40 minutes east of Springfield, MO. A strong thunderstorm had been predicted to hit the second night of our camp out. I told my Webelo son, that to be on the safe side, at 9:00 pm, we were going to move our gear from the platform scout tent to our van and sleep there for the night. I was so thankful I thought to do that as a fierce thunderstorm did hit, the rains flooded the campsite, but my son and I were safe and dry inside our van. I know some scouting parents would insist on “roughing” it during a thunderstorm but I fell back on the motto, “Be Prepared” and to the van we went! The Econoline has another family vacation to take us on this summer. It will again take our oldest daughter and all of her stuff back to her college for her Senior year. The van is starting to show it’s 15 years of usage, but we still aren’t ready to trade it in for a newer vehicle. We’re hoping it can hang on through the August of 2016 when child #4 will be moving to his college for his Freshman year. One weekend when my husband and I were highschool sweethearts, he related to me that as his parents were opening up their pop-up camper it was discovered that during the winter, water had somehow gotten inside of the camper and mold had grown inside and ruined the interior. He went on to tell me how sad his mom was, and that she actually broke down and cried about it. When I asked why she had gotten so upset about a camper, my wise husband explained to me that their family had gone a lot of camping trips in that pop-up and that she was sad they wouldn’t be able to continue making memories with that camper. At the time, I was a high school kid and didn’t understand my future mother-in-law’s tears. Driving around last week and dwelling on our reliable, yet old van’s travels, I found that I now do understand the tears. Memories are made, families grow and change. The trusty vehicles age and according to some law of Physics, the repairing over and over again will all be for naught. Maybe it’s part of a mom’s heart to tear up at memories, to recall with fondness, smiles and wet eyes the passages of time via their childrens growth; the need for car seats of various sizes, then just a booster seat, then the seat belt, to the child driving the vehicle on their own with their own driver’s license. Chalk it all up to memories and a mom’s heart, I guess, as to the reason why I was emotional as I drove around Rolla running errands. I guess as I tool around town in my giant silver/grey van, I will need to keep a kleenax box handy, especially as our kids continue to grow up and time marches on . 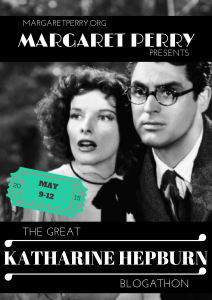 Last year, blogger and classic film fan Margaret Perry decided to host a Katharine Hepburn Blogathon around the late actress’s birthday, which was May 12th, 1907. The blogathon was such a success that here is the second one and I am participating but not with a Hepburn movie review. I decided to take a different tack, and write a book review of a book I read 9 years ago, A.Scott Berg’s excellent, Kate Remembered. 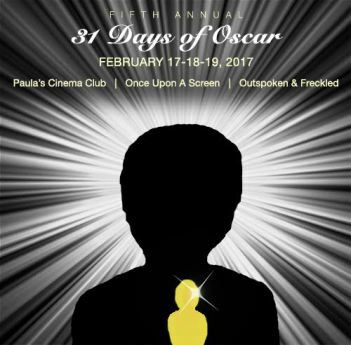 Be sure to visit Margaret’s site to read all of the other outstanding contributions to this blogathon! Writer A. Scott Berg, a native and inhabitant of LA, in the early 1980s,, was busily working on a biography of movie mogul Samuel Goldwyn when Esquire magazine contacted Berg about contributing a piece for their upcoming 50th anniversary issue. Berg immediately agreed if he could write about a Hollywood icon, Katharine Hepburn. He had to go round and round with the editors and assistant editors because they insisted they didn’t want any articles about Hollywood;important Americans was their topic, and Berg countered that Hepburn was the lone actress still at work, in her seventies, who had done it all and done it well:stage and film and 4-time Academy Award winner. Reluctantly, Esquire relented and Berg began his task of contacting Ms. Hepburn in order to interview her. Fortunately for Berg, when he was a college student at Princeton, he had written his senior thesis on editor Maxwell Perkins. After graduating, Berg decided to expand his thesis into a biography of Perkins, and the finished book, Maxwell Perkins: Editor of Genius, won a National Book Award. During his research on Perkins, he found out that Perkins and his family lived next door to none other than star actress Katharine Hepburn! Berg had always been a fan of Hepburn’s, and having written to the actress for any info she may have had about Maxwell Perkins, being that she was his neighbor for years, she did write Berg back, showed interest in his book about her former neighbor, so it was a natural plan to approach Ms. Hepburn again about letting Berg interview her for the Esquire article. What began as several meetings at the actress’s brownstone home in the Turtle Bay area of Manhattan, and at the family’s seaside home in the borrough of Fenwick, part of Old Saybrook, CT. grew into a friendship of 15 years, right up to the passing away of Hepburn. The book explores Katharine’s early life in Hartford, CT. Her father, Thomas, was a doctor and her mother, Katharine, or Kit, was a busy homemaker with 6 kids to raise, but she also found time to devote to causes: Suffragist Movement and Family Planning. Katharine was the second child in the family, she had one older brother, Tom, two younger brothers, Richard and Robert, and then two little sisters, Marion and Margaret. From Berg’s writings, I learned that these younger siblings were all in their teens and preteen years when their big sister was becoming famous due to her movie career. Sadly, her older brother, Tom, committed suicide at the age of 15 and Katharine was the one who found his body. Katharine loved her older brother very much and his death was a shock. Due to her parents extreme views on political issues, they didn’t have many friends in Hartford, and this attitude also spread to the way peers treated the Hepburn children. Sadly, her brother’s death added to the alienation, so the Hepburn family turned towards one another, were each other’s booster club, and Katharine shared she was so grateful that she had such a supportive family and she really believed that that love and support helped her reach her acting successes. Katharine finished up her high school years homeschooling, with a tutor, and then it was on to Bryn Mawr for college, her mother’s college alma mater. After graduation it was on to the stage and eventually, on to Hollywood. Katharine’s first film, A Bill of Divorcement, was a star vehicle for John Barrymore. Katharine was cast to play his daugher in the film, George Cukor directed; he became a lifelong friend of Hepburn’s. A funny anecdote about Katharine and that first film, she was taking the Super Chief train from Chicago to LA and on her first night on that train, she went out onto a back platform to see the stars and something flew into her eye. Immediate pain, redness, and swelling in that eye made the rest of the trip miserable. As soon as the studio personnel met her at the train station in LA, she urged them to find her a doctor for her eye. First, the studio folks told her, she had to be whisked off to the studio to meet Cukor, costumers, make up , and John Barrymore. When she was introduced to John Barrymore, he assumed her red eye was due to too much alchohol and he offered her some eye drops that he often took for that very reason. Hepburn tried to explain that she hadn’t been drunk and that something blew into her eye while on the train trip, but the Great Profile didn’t believe her! The book looks at a lot of her films; early successes, especially Morning Glory and Little Women, and then how she was box office poison until The Philadelphia Story. I love the slapstick, screwball comedy Bringing Up Baby and had no idea it had bombed at the box office in 1938! There is also, of course, the section of the book that covers her long relationship with actor Spencer Tracy. Hepburn shared with Berg that with Tracy it was “the first time I truly learned that it was more important to love than to be loved.” Hepburn and Tracy were together for 26 years, 1941-1967. Hepburn with her 3 leading men in The Philadelphia Story: Cary Grant, James Stewart, and John Howard. If you enjoy books about famous actors or actresses, written with their input, then seek out Kate Remembered-I highly recommend it! This post from Dec., 2014 is my contribution to Movies, Silently’s wonderful Shorts: A Tiny Blogathon Be sure to visit Fritzi’s sight to read about more of these pithy, witty, some funny, and some more serious-minded short films that were shown by movie theaters before the featured attraction. With Christmas Day right around the corner, two meals to prep for, gifts to wrap, stockings to stuff, and more goodies to bake, this will probably be my last post until January 2015. I decided it would be right and fitting to write about a short film that I saw on Turner Classics last year in December, Warner Brothers 1945 Star in the Night.